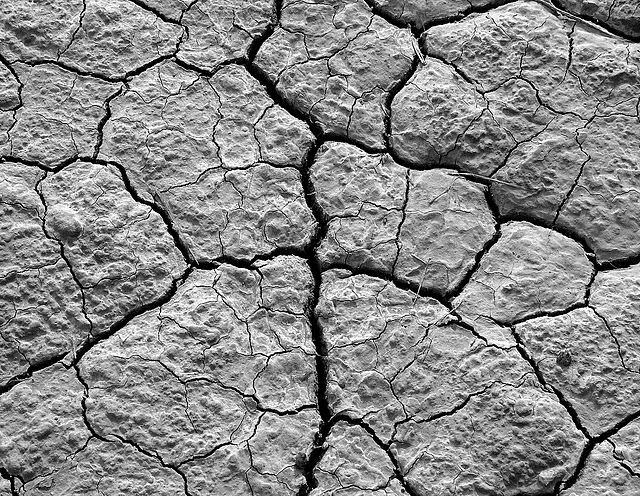 A drought is a generally long period of time during which a lack of water is sufficient to impact the soil and plant life. This phenomenon can be recurrent or exceptional, and can affect a specific localised area or an entire subcontinent. Depending on the region of the world and its available water resources, the definition of drought varies. In France, an absolute drought is defined as a period of 15 consecutive days without a single drop of rain (less than 0.2 mm per day). Hydrological droughts occur when the soil's water reserves (aquifers) and watercourses fall below average levels. This may be due to a particularly long and intense meteorological drought, as well as overuse of water resources. A persistent drought can ruin a region's agricultural production, reduce hydroelectric production, cause bush or forests fires, block river navigation, create shortages of drinkable water and even, in extreme cases, lead to an exodus.